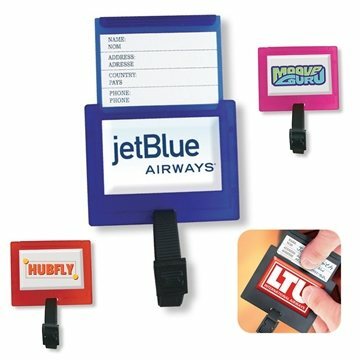 Plastic luggage tag features pull out identification card and adjustable strap. AnyPromo just gets it. You know the process and you deliver the goods. I definitely recommend AnyPromo for your custom logo products. Great quality for the price! Variety of colors to choose from. This item was an ideal gift for the golf outing participants! they went with our theme and the customer service was absolutely outstanding. Both the printing and the product turned out perfect.